This article is about the race. For the nation from which they originate, see Tsaesci (place). The Tsaesci once invaded Tamriel in 1E 2703, but were driven back by the forces of Emperor Reman I. 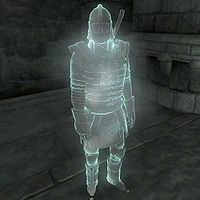 Surviving Tsaesci in Cyrodiil served as mercenaries and personal guards of nobles. They left many influences on Imperial institutions and culture, including the doctrines and equipment of the Imperial Legion, the creation of the Blades and Fighters Guild, a reverence among the Imperial aristocracy for all things Akaviri, and the adoption of the dragon as a symbol of the Empire. A number of Tsaesci even served the Second Empire as Potentates, among them Sidri-Ashak, Versidue-Shaie, and Savirien-Chorak. The latter two ruled the Second Empire outright during the first half of the Second Era, a period known as the Akaviri Potentate that was brought on by the demise of the Reman Dynasty. This page was last modified on 27 January 2019, at 13:03.